N.B. 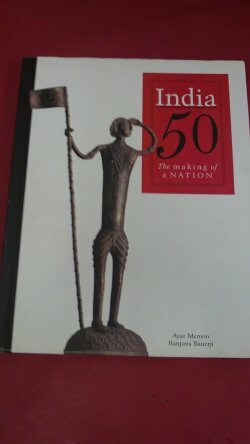 Head and tail of spine and D/J spine bumped.India 50: The Making of a Nation takes a contemporary look at India's growth since it won freedom from the British on August 15, 1947. In these pages are featured the events and people who have influenced the country over the decades, from 1947 to 1997, in politics, sport, films, glamour and social issues and concerns. The narration of most events is complemented by a comment from a distinguished writer or expert. Fresh, direct and distinctly unacademic in its approach, India 50 tells the story of a nation's journey into modernity and democracy. 255pp.